This week I had the privilege of hearing the Dalai Lama, as he spoke before 5,600 guests, primarily students, in Providence, R.I. I was awash in admiration, with a dash of clergy-envy, for one able to touch the lives of so many. He directed his comments primarily to the young people, reminding me that within the next few weeks I’ll be officiating at the final bar mitzvah of a student born in the 20thcentury. 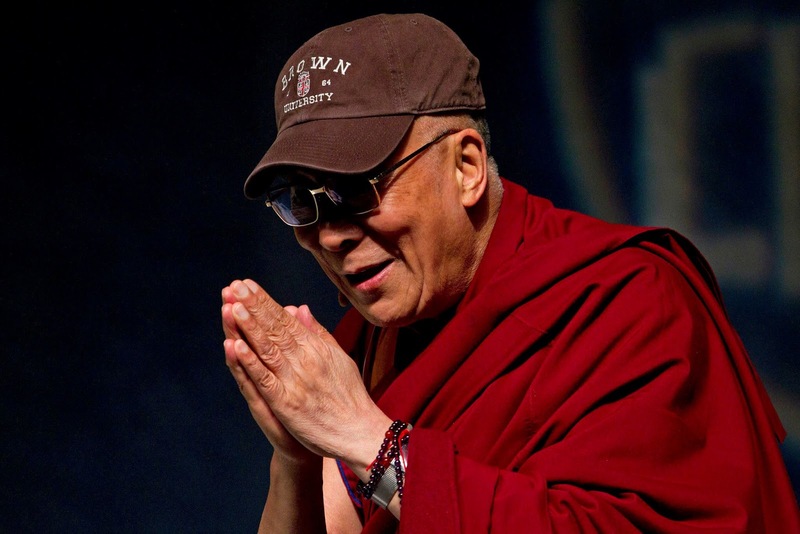 The world is swiftly changing, but the Dalai Lama chooses to see look at the future optimistically, placing it gently in the hands of the next generation, the Millennials. Although English is not his primary language, he spoke fluidly and with great humor – and an infectious Eddie Murphy laugh - demonstrating an ability to reach people at their level. Since one side story has received undue attention online, it must be pointed out that a profanity ascribed to him was a clear misinterpretation by the person handling closed captioning. Still, even the misquote (what he really said was "just forget!") was an indicator of how comfortable he was with this demographic - and how at ease the students were with him. He could have said it (though to be clear, he never cursed) and we hardly would have flinched. He was that relaxed, that congenial, and that connected to this audience. One minute, John Stuart Mill, the next minute, Jon Stewart; one minute, we were at the feet of the Master, the next, downing beers at the pub down the street. “This 21st century should be a century of dialogue,” he said, calling on the students to cultivate an ethos of compassion, love and forgiveness, in both religious and secular contexts. He sees a trend toward greater spirituality, even among secularists and scientists, toward a mature world of unity and reconciliation. In response to a question from a Native American professor about being kicked off his land and living in exile, he spoke about the extraordinary lengths he has gone to reach out to Chinese communities, even as China still paints him as a terrorist. China exiled him and is committing cultural genocide in their ancestral homeland - they still hate him, but this perennial victim refuses to hate back. Remarkable - and a valuable lesson for Jews. In another lesson for Jews and other peoples who have been displaced, he emphasized the importance of sustaining a culture through the preservation of language. He described how Tibetan education became the top priority for his community when they were exiled to India in 1959. Within a year, they had opened a separate Tibetan school, fully supported by the Indian government. "The most important aspect of our identity is our language," he said, and Jewish educators everywhere nodded, "Amen." He spoke much about happiness, not simply from material success but through kindness toward others and inner peace. One student asked him, in light of the frightening events transpiring in the Middle East, how we can process these events from a peace-centered perspective. Is it possible to maintain a sense of optimism in this dark environment? He responded by describing his outreach to the Muslim community following Sept. 11. It's not about Islam, he said. Muslims in India and Indonesia are different. "Same Quran. Same Allah." He sees education as being the key toward changing attitudes in the Arab world, that and "more interaction, more contact." He remains steadfastly hopeful and optimistic. “We are the same human being, mentally, emotionally, physically,” he said, adding that when he meets new people, it's as if they have already met. It was a message these students needed to hear, as they prepare to forge a future that is increasingly scary, for them personally and for the world as a whole. I came away from the lecture inspired and uplifted. Funny thing, though, because if you just read a transcript of what he said, you will probably wonder why the guy is so revered. The message is basic and it's not exclusive to Buddhists. Love and Hope work well for rabbis too, not to mention bishop, ministers, religious leaders of all stripes and the occasional politician. The message could not be simpler. But there is a power to his simplicity. Maybe it comes from his background, his courage to love despite his people's perpetual suffering, his embracing his burden despite having been chosen for leadership while still a toddler, his steadfast refusal to give up. It makes the rest of us feel real small. And it made me feel real lucky to have heard him.